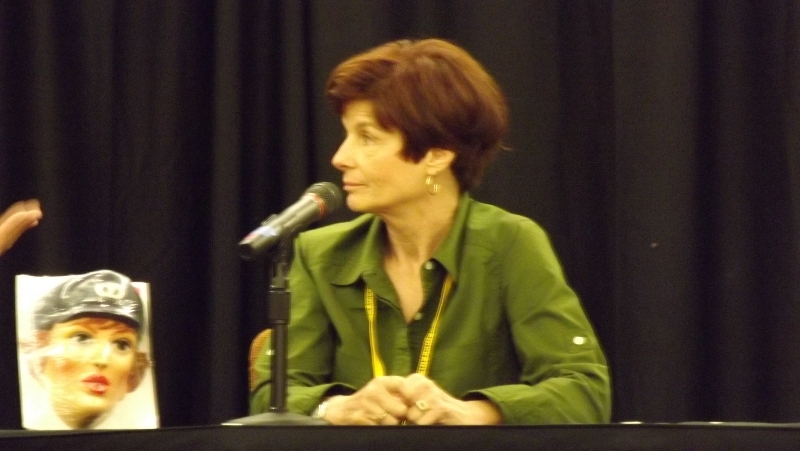 Wow– one of the single greatest events of JoeCon 2013? 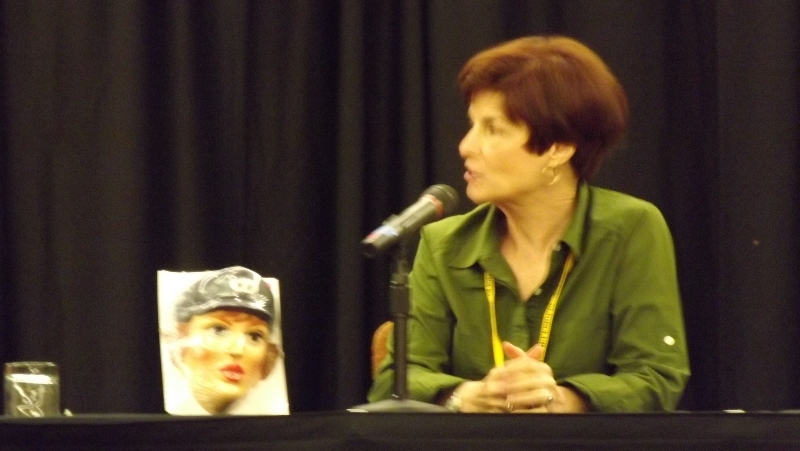 That would be the Sunday voice actor panel with two of the greatest stars of the Sunbow G.I. 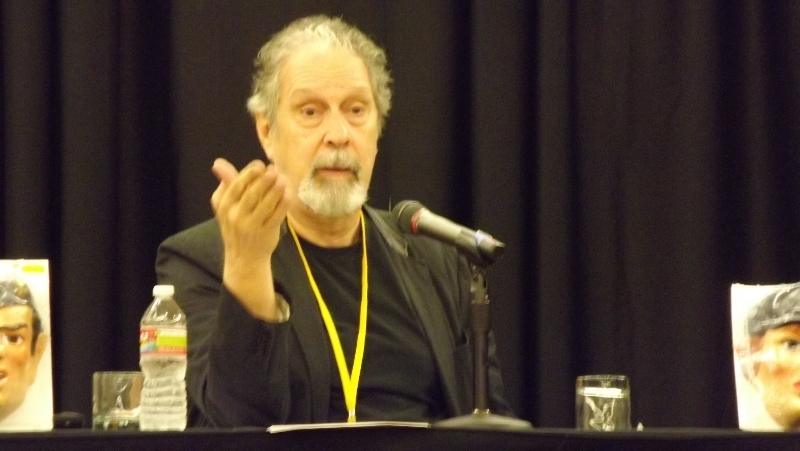 Joe animated series– Bill Ratner and Mary McDonald-Lewis. 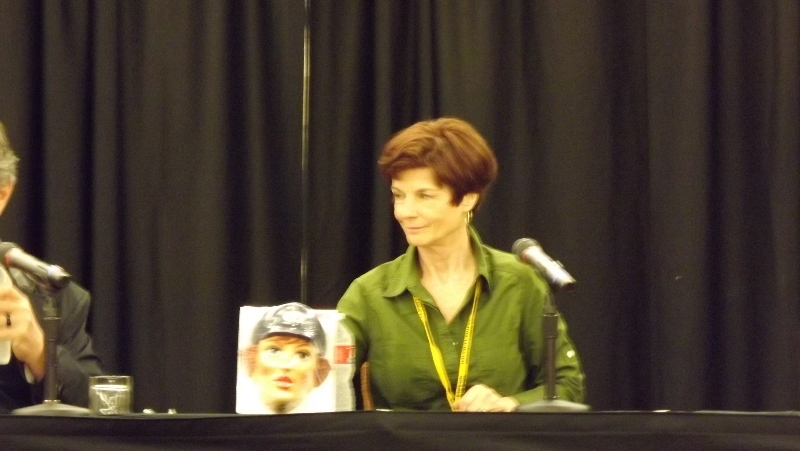 That’s right, the voices of the original Flint and Lady Jaye were on stage together and they didn’t disappoint! 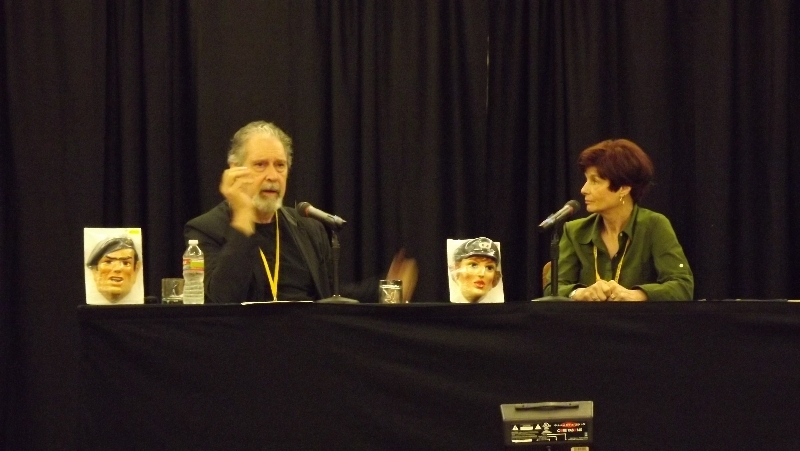 To open the Sunday panel, Bill and Mary took the stage and performed an impromptu script reading with a little help of Fun Publication’s own Pete Sinclair. The story was entitled “Flint & Lady Jaye Have a Baby” and detailed the events of a G.I. Joe mission in which Lady Jaye reveals that she’s expecting. After foiling the efforts of Cobra and returning to headquarters, they decide upon a name for their daughter– Marissa. It was a nice homage to both the Sunbow G.I. 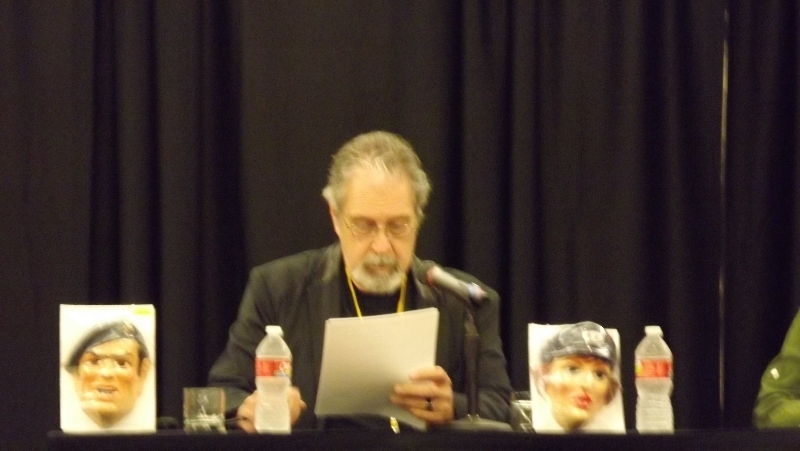 Joe and Transformers animated series and marked the first time that the two had performed their respective signature characters since production on the original series ended. Honestly– it was a fan written script performed at a convention and it still caused me to grin from ear-to-ear when two of my favorite animated characters seemingly returned to life in an auditorium in Indianapolis. In many ways, it was like being a kid again and rushing home from school to catch the animated adventures of Flint and Lady Jaye each weekday afternoon. 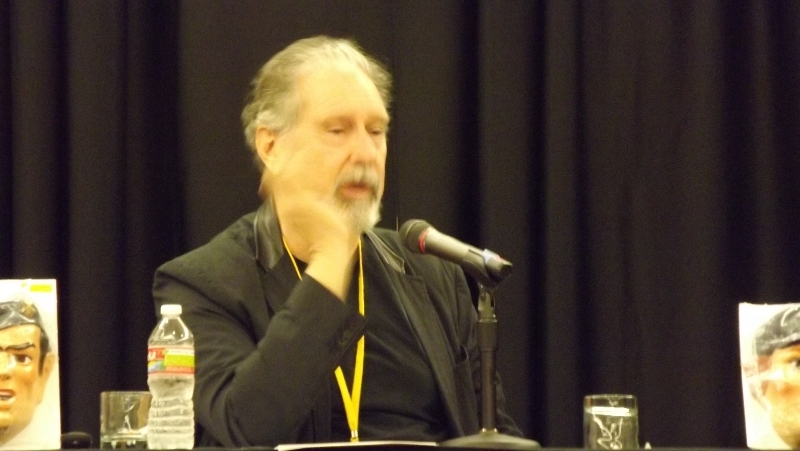 Following the performance, the two took audience questions and related a number of anecdotes about the production of the original Sunbow series. (Who knew Michael Bell carried a “man purse” or that Chris Latta was always late coming back from lunch?) 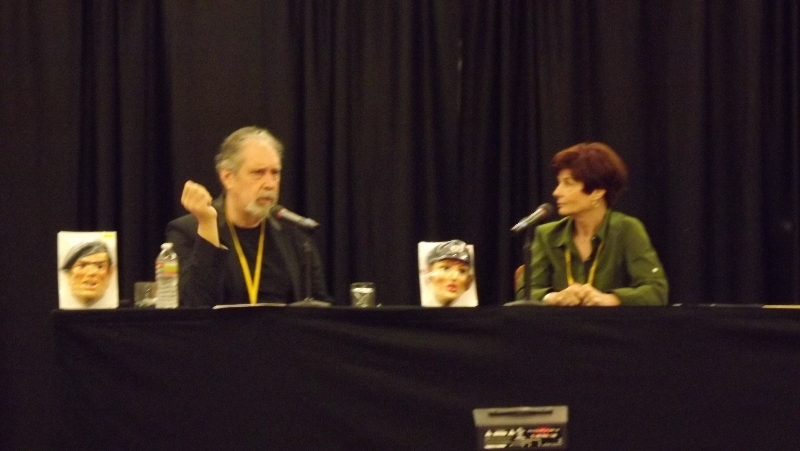 Mary Mac and Bill both discussed the differences between voice acting and stage acting as well as their fondness for the days of radio performances. 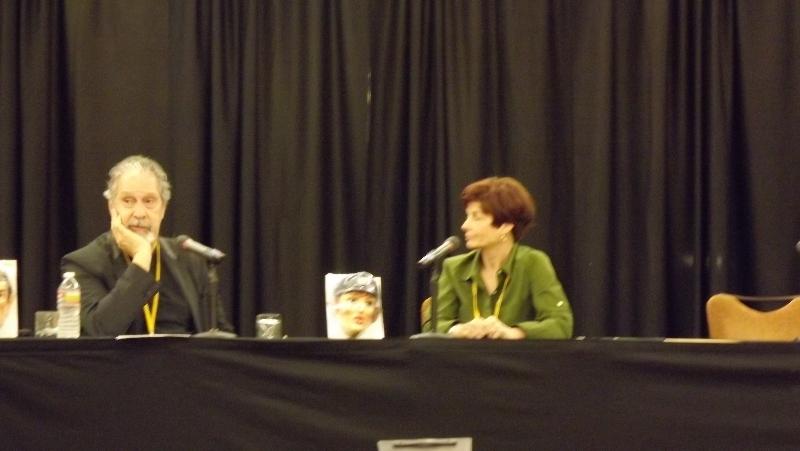 In the end, the hour went by far too quickly and the audience gave these two a standing ovation. 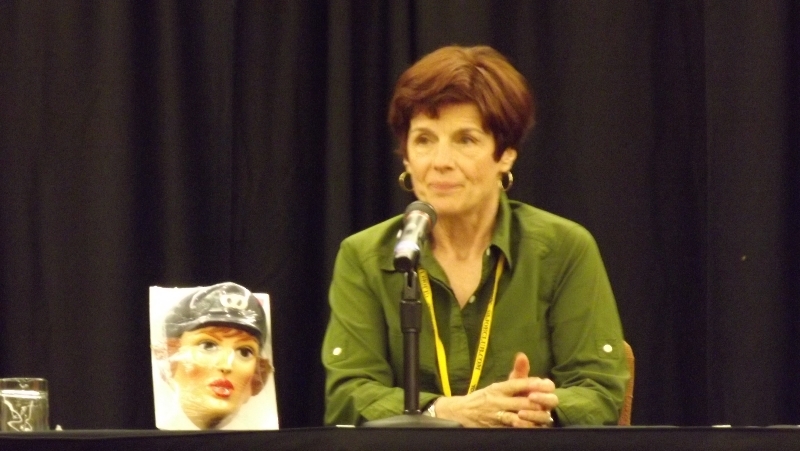 2013 marks the first ever JoeCon appearance for either of them and it would be fantastic to see their return in the future.